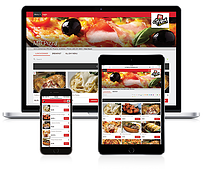 New Online Ordering Features that MobileBytesCustomers Have Been Requesting! Online menu schedule overrides - Restaurants can now set up online menu schedule overrides for specific dates. Schedule overrides are set up the same way as the standard online menu schedules, attaching a menu group or no group to a time period. Adding an override schedule for a date will completely override the normal online ordering hours for that day. Tipping - Users can now add a tip to their order before submitting. If the restaurant is using Sale & Adjust for online transactions, two new options will appear on the Online Ordering setup page: “Carryout Tips Allowed” and “Delivery Tips Allowed.” Enabling either of these options will show tip options to the online ordering user during the checkout process, using the tip defaults from the assigned room if they are set. Pricing overrides - Online ordering now respects pricing override schedules and rules. Rules can be scheduled to take effect on a specific day/time, in a specific date range, or only in specific rooms. Rules are applied by sort order, so if there are overlapping rules, the first in the list will get applied first. Scheduled rules will only take effect if the user’s pickup/delivery time (minus the order type’s lead time) and the time the user is placing the order (meaning the user’s browser time) are both within the timeframe for a scheduled rule, essentially preventing users from getting scheduled pricing on future orders. Users will be able to see the rule applied to an item/size if a Short Identifier is present on the rule, otherwise, the rule be applied discretely, which is the same behavior as the POS. Auto apply adjustments - Auto apply ticket adjustments with a party size rule of either 0 or 1 are now applied to online orders during checkout. If the adjustment is set as room specific, it will only apply to the order if it is set up in a room associated with the order’s type (ie Carryout/Delivery). Item stock - Online ordering now respects item stock quantities. Items that are out of stock are disabled and cannot be clicked or added. Items with limited quantity say so, and the number that can be added to the cart is limited to that number. Ingredients attached to subitems with stock limits will also affect the availability of the parent item. Payment type added to confirmation emails - Payment type has been added to the online order confirmation emails. It will display as either “Pay in person” if the payment type is pay in person or “Paid online” if the payment type is a new card or a saved payment method. Online ordering experience feedback - Online ordering experience feedback is being collected on submitted orders. Once an order has been submitted, the user will see an option to rate their online ordering experience. They can choose between 1 and 5 stars and add an optional comment. If no stars are selected, the feedback cannot be submitted. General online ordering feedback can now be submitted as well. The page footer has been redesigned to include a link that says “Give us Feedback.” Clicking this will present a text entry form for the user to send us general feedback or issues at any point during the ordering process. User feedback is specifically for the MobileBytes team to gather data to help us improve online ordering as much as possible. There is no report for our merchants to see this data. Please let us know if you have questions or need additional information.